I have a new kit available for you today. 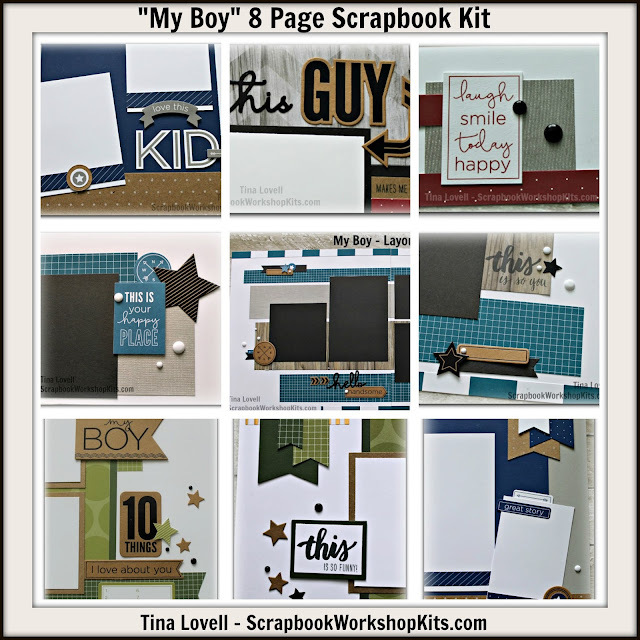 It is masculine themed and called "My Boy." This kit is 8 pages total and features 2 of our specialty paper packs: Rustic Home Fundamentals and Enchantment Fundamentals. As always, my kits come pre-cut and ready to assemble with everything you need to create all 8 pages. This kit includes the use of a full sheet of our Copper Striped Vellum BTP and it is stunning in person. The kit colors are: Sapphire, Fern, New England Ivy, Pomegranate, Kraft, Black and White.